With everyone from Jay-Z to Jennifer Lopez touting the benefits of a dairy-free diet, it’s little wonder that our curiosity about eliminating dairy has piqued. Some are claiming it’s the key to getting rid of acne or the hidden key to added energy. With all these benefits, why not try to nix dairy? Many of us may be totally on board until we remember: cheese. Quesadillas, grilled cheeses, nachos, wine and cheese nights—how can we give that up? Luckily, with the spate of new non-dairy cheese options that exist, you don’t have to. Thanks to new technology and competition in the industry, there are more vegan cheese options to choose from than ever. Here’s the 411 on some of the best out there. Soy cheese is probably what first pops into your mind when you think of non-dairy cheese. But the cardboard flavors of yesteryear are long gone. Thanks to new technology and a variety of soybeans, soy cheese comes in many brands and flavors and actually mimics Parmesan, mozzarella, cheddar, pepper jack and more. Soy cream cheese and sour cream even exists! One thing to point out: Due to the lack of casein in soy cheese (it’s a protein found in milk), some soy cheeses will not melt in the same way that traditional cheese does. You may have to do some experimenting before finding the kind you like best. If the idea of making your own “cheese” seems too much to handle, don’t stress. This tofu cheese is pretty easy. Take tofu and press it to remove as much water as possible, then slice it and spread miso paste on each piece. You can lay out the blocks in a container that will sit unrefrigerated for 24-48 hours. Before eating, scrape off the paste. Refrigerate the leftovers and use within a few days. It's a great cheese to use crumbled over salads as a replacement for feta or blue cheese. 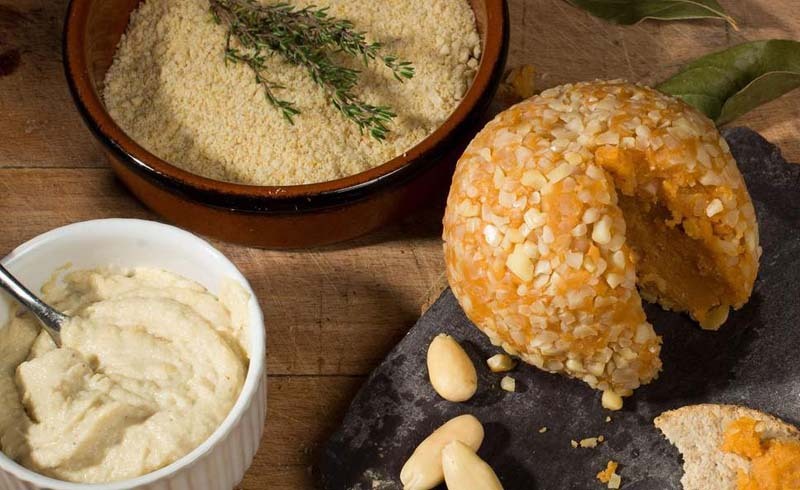 When you’re on the hunt for a vegan cheese option that you can serve up on a mean cheese platter, tree nut cheeses are your best bet. Typically made from cashews or macadamia nuts that go through a fermentation and seasoning process, these cheeses often have complex flavors that pair well with crackers for an excellent vegan wine and cheese night. Dr. Cow and Treeline are some go-to brands. This recipe of vegan cheese sauce will have you cutting up a ton of veggies just as a vehicle to get more of it into your mouth. It's also a great alternative for those who want vegan cheeses, but need a nut-free option due to allergies. Blend or pulse water, sesame seeds and lemon juice until the mixture is smooth. Add a bit of oil that you have on hand—olive oil is fine!—into a pan with nutritional yeast. Combine the blended mixture with the oil and yeast and season with a bit of mustard, onion and garlic powder, and leave it over the heat until it’s the appropriate thickness. Just consider it the grown-up version of Cheez Whiz! 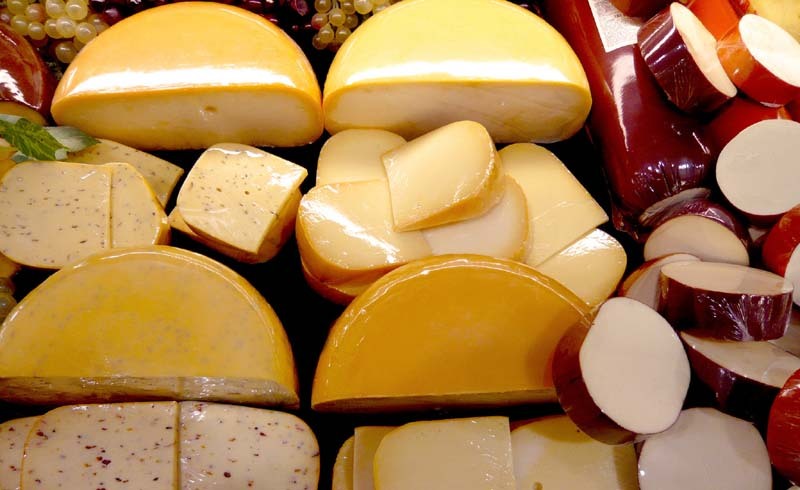 If you want to avoid most common allergens—milk, soy, and nuts—then plant-based cheeses are an excellent alternative. One brand is Daiya, which makes many types of cheese from tapioca, a starch extracted from cassava root. Fans say that plant-based cheeses seem to melt better than soy options. Vegan pizza party, here we come!. If you’re in the mood for making your own dairy-free plant-based cheese, try this zucchini cheese recipe. Take steamed zucchini, blend it or pulse it with water, coconut oil, lemon juice and a pinch of salt, gelatin and nutritional yeast. Add some chopped parsley to the blended mixture, pour it into a pan, and refrigerate it about four hours. Slice it and enjoy!